Pain that occurs typically at the top of the shoulder can be from this problem. 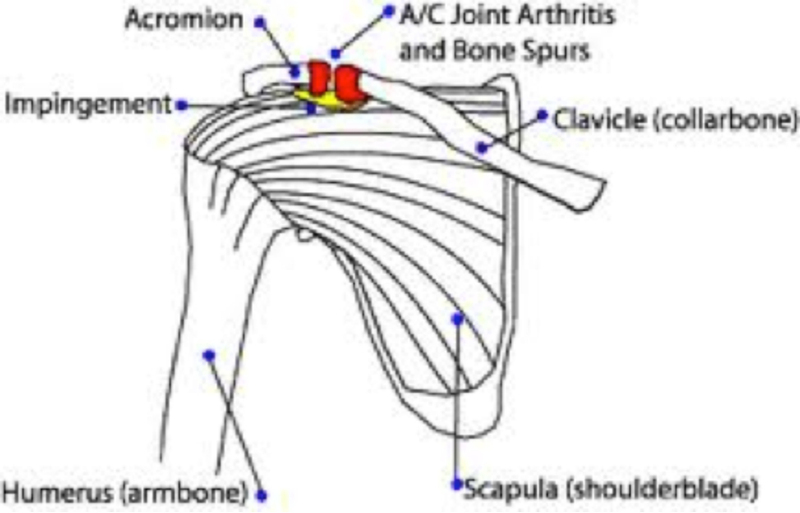 Some natural wear and tear of this joint that connects the collar done to the shoulder blade (acromion) is common. ACJ arthritis can be present without causing pain but with injury, exercise or damage is can become very painful. Typically pain gets worse with overhead activity, reaching across to the opposite side or sleeping on the same side. Clinical diagnosis, MRI scans, X-rays can help confirm the diagnosis. It is usually treated by a local steroid injection but if this ineffective it might require Arthroscopy/mini open surgery.